Tennessee on Thursday imposed restrictions on the use of dicamba, a flagship pesticide for Monsanto Co, becoming the fourth state to take action as problems spread over damage the weed killer causes to crops not genetically modified to withstand it. Dicamba is sprayed by farmers on crops genetically modified to resist it but it has drifted, damaging vulnerable soybeans, cotton and other crops across the southern United States. Farmers have fought with neighbors over lost crops and brought lawsuits against dicamba producers. Arkansas banned its use last week and Missouri, which initially halted dicamba spraying, has joined Tennessee with tight restrictions on when and in what weather spraying can be done. Kansas is investigating complaints. 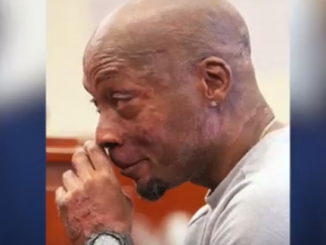 He suspects between 3,000 and 4,000 acres of soybeans on the 6,000 acres he and his family farm have sustained damage, evidenced by the leaves of plants constricting into cup-like shapes. Monsanto, which said it has spent years working to make dicamba stickier and limit drift when it is sprayed, is campaigning to overturn the bans. It blames early-adoption headaches similar to wind drift and cross-contaminated farm equipment problems the company faced when it launched its popular Roundup Ready glyphosate-resistant crops two decades ago. “In almost every technology in that first year there are kinks that you need to work out,” Robb Fraley, Monsanto’s chief technology officer, said on a news media call. He said many of the dicamba issues are caused by farmers not following application labels, using contaminated equipment or buying older formulations of dicamba that are cheaper but more prone to drift. The company, together with BASF SE and DuPont, which also produce dicamba-based weed killers, has agreed to additional safeguards for product use, Missouri Director of Agriculture Chris Chinn said in a statement. The dicamba problem is the latest regulatory woe for Monsanto after California last month announced it would list glyphosate as a probable carcinogen in the state. “It’s not good for Monsanto – if anything, this is more likely to lead to lawsuits rather than additional sales,” Jonas Oxgaard, an analyst with asset management firm Bernstein, said regarding the dicamba launch woes. Dicamba is key to Monsanto’s biggest-ever biotech seed launch, which occurred last year. Its Xtend line of soybeans and cotton are designed to tolerate the weed killer, which replaces earlier products that contained only glyphosate. Some weeds have developed resistance to glyphosate, which Monsanto introduced in the 1970s. Crop seeds such as corn, soybeans and cotton are genetically modified to survive the pesticide while yield-sapping weeds die. Dicamba has long been used to kill weeds before crops are planted, but its use has spiked this season across the United States after regulators last year approved it for crops that are already growing. Monsanto sells a new dicamba formulation under the name Xtendimax. The company says that Xtendimax drifts less than older versions. BASF and DuPont also sell less drift-prone formulations. New restrictions in Tennessee include allowing application only from 9 a.m. to 4 p.m. to limit potential pesticide drift and banning use of older dicamba formulations. 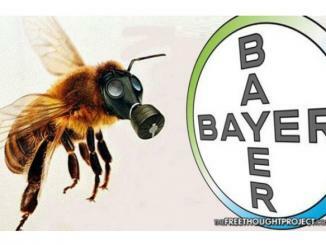 Bayer bought Monsanto earlier this year for $66 billion and may be on the hook to pay for thousands of liability claims against its premier product, Round Up pesticide. Dewayne Johnson’s case will set a precedent for future settlement awards for thousands more cases in litigation. Biotech giant, Monsanto, is accused of hiring, through third parties, an ‘army’ of Internet trolls to counter negative online comments, while citing positive ‘ghost-written’ pseudo-scientific reports that downplay the risks of GMO foods and Roundup Ready pesticide. 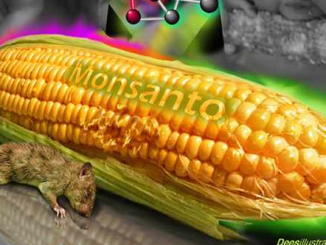 In San Francisco, 50 lawsuits have been filed against Monsanto. It sounds like Dicamba is an herbicide not a pesticide. If it kills plants and weeds then it’s an herbicide. 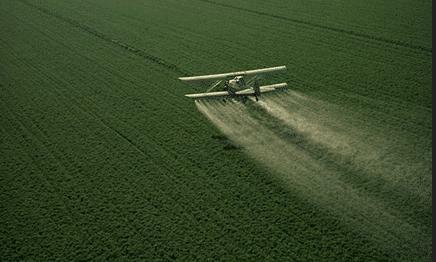 If it kills insects then it’s a pesticide and if it kills fungus then it’s a fungicide.